Since 2003 I've built simple HPV's for my own use that have front wheel drive and a rear fork that supports the seat. The rear fork is just a common 20" front bike fork. The rear fork has not broken on me in many hundreds of kilometres ridden, wish I could say the same about the frames which have , on occasion come to grief due to over-use and under-welding. 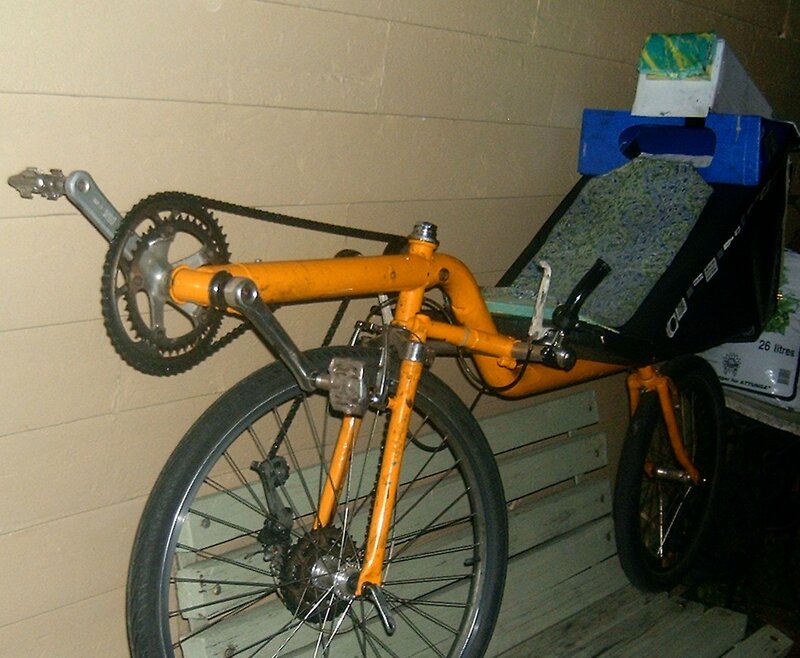 There are some pictures and photos of my first practical front-drive recumbent in this folder on the ihpva site. 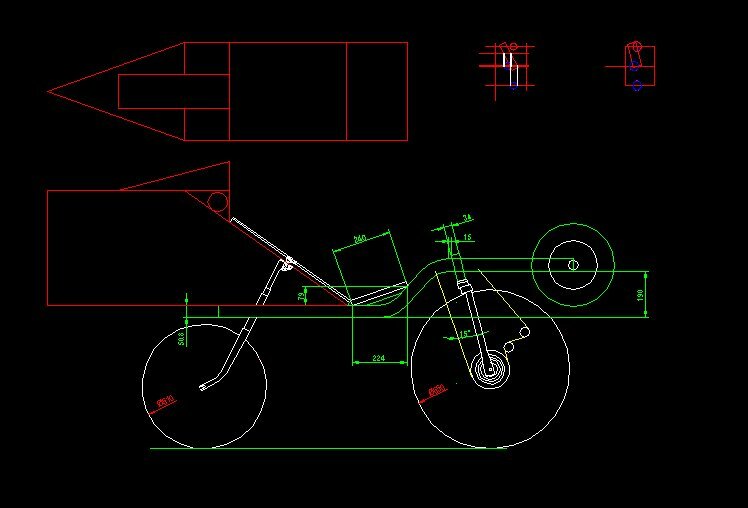 In the drawing you can download, there are some small pictures of the cutouts needed to make the tube mitres in the bike. Similar cutout profiles can be generated using the spreadsheeet program I wrote which is here. 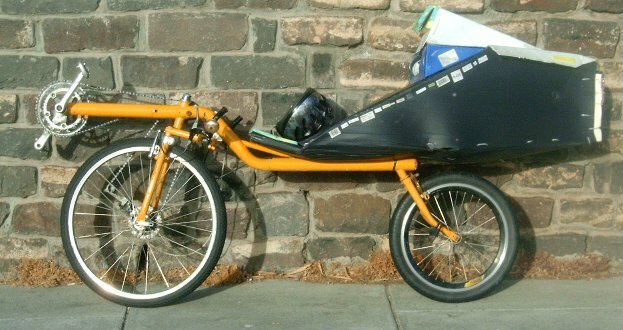 I took a folding (ok, pull apartable) version of the bike to the spezi bike show in 2004 and paraded it with a host of other folding recumbents. See here.